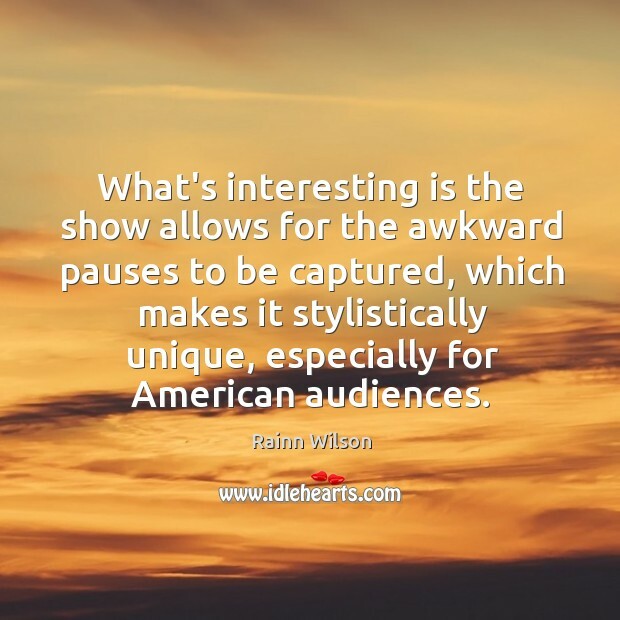 Quotations about American Audiences. Quotes to stimulate mind and drive action! Use the words and quote images to feed your brain inspiring things daily! 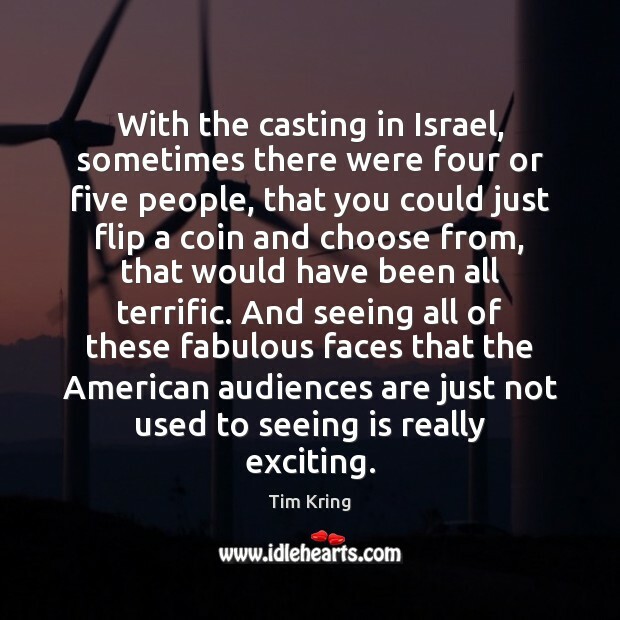 With the casting in Israel, sometimes there were four or five people, that you could just flip a coin and choose from, that would have been all terrific. 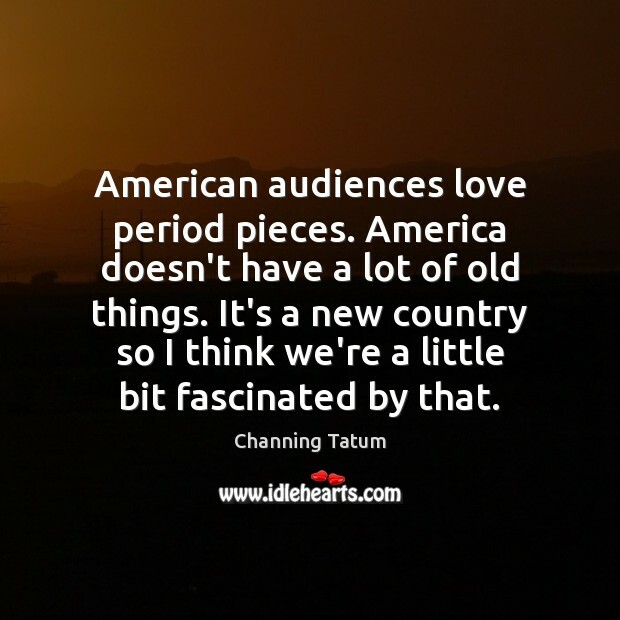 And seeing all of these fabulous faces that the American audiences are just not used to seeing is really exciting. 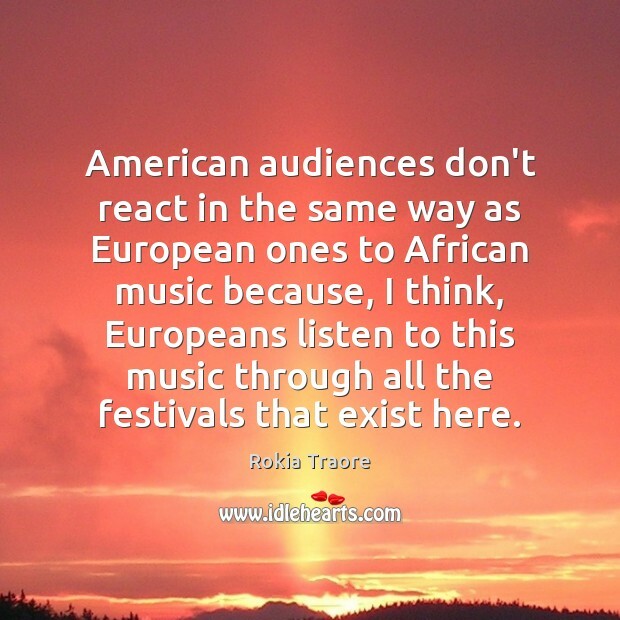 American audiences don't react in the same way as European ones to African music because, I think, Europeans listen to this music through all the festivals that exist here. 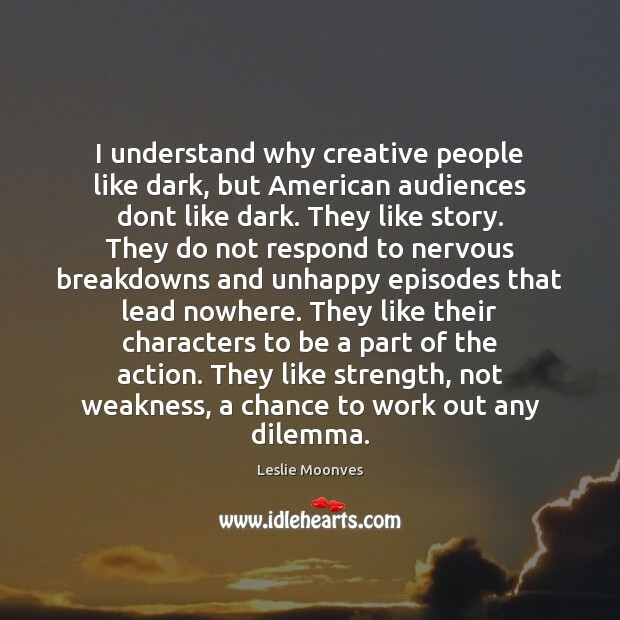 I understand why creative people like dark, but American audiences dont like dark. They like story. They do not respond to nervous breakdowns and unhappy episodes that lead nowhere. They like their characters to be a part of the action. They like strength, not weakness, a chance to work out any dilemma. 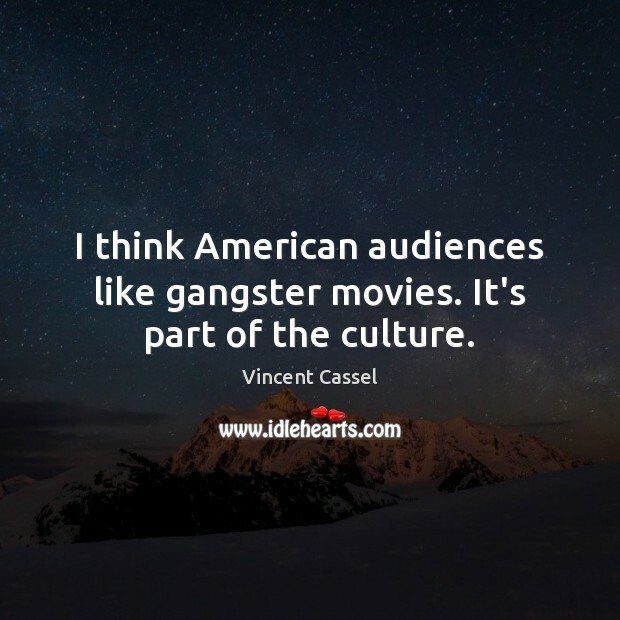 I think American audiences like gangster movies. It's part of the culture. 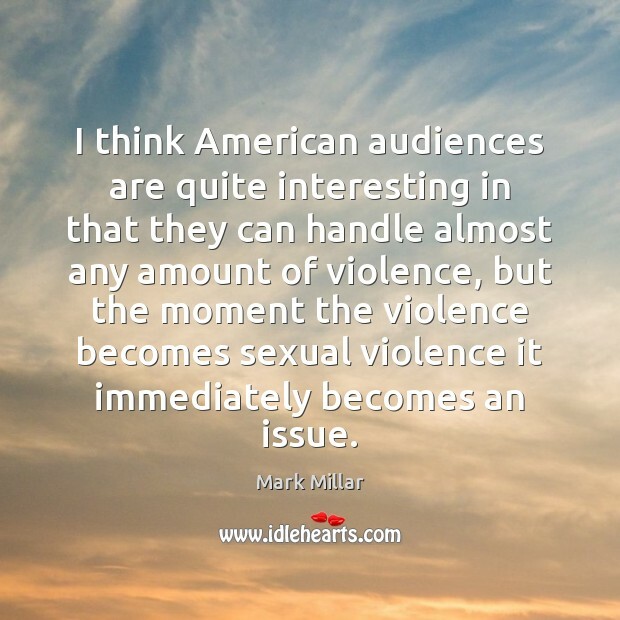 My relationship with American audiences is the exact same as it always has been. 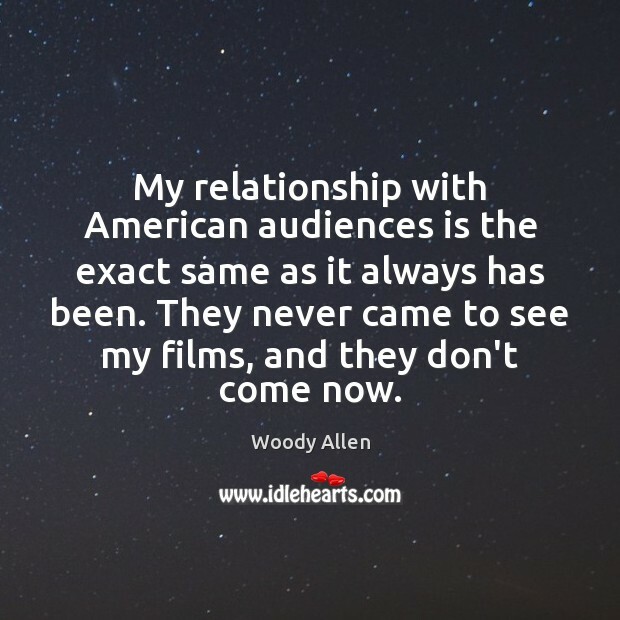 They never came to see my films, and they don't come now. 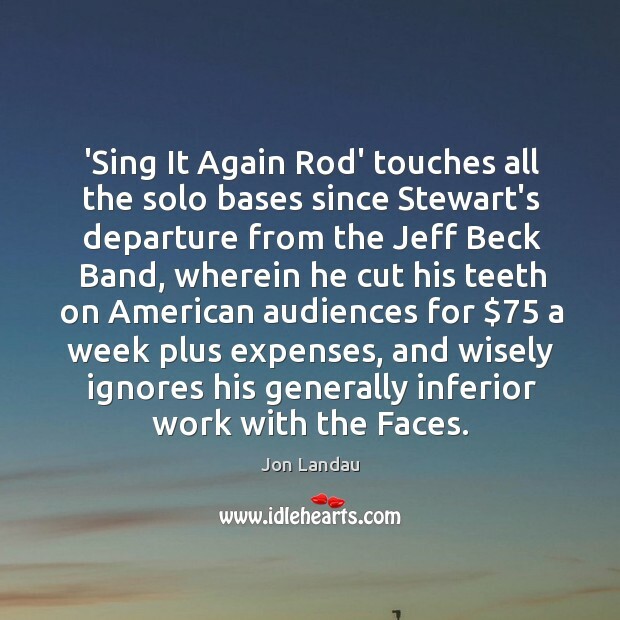 What's difficult for American audiences is that they're used to a system here where you can get an actor for five years or even seven, and that is signed for at the audition. 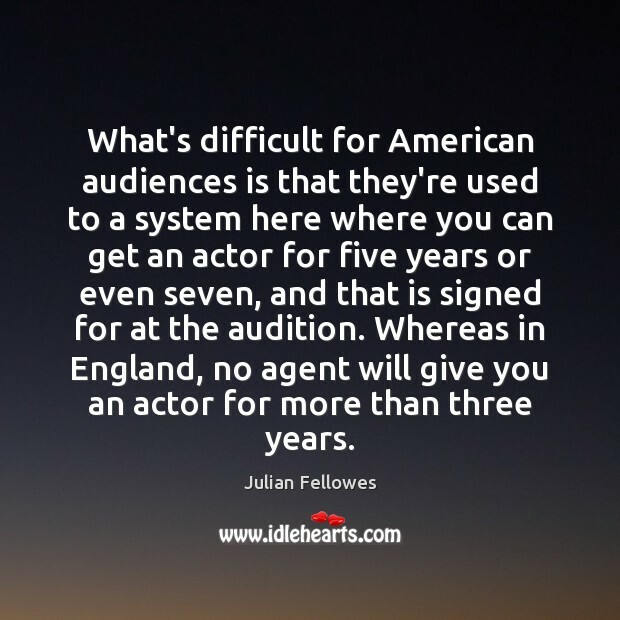 Whereas in England, no agent will give you an actor for more than three years. 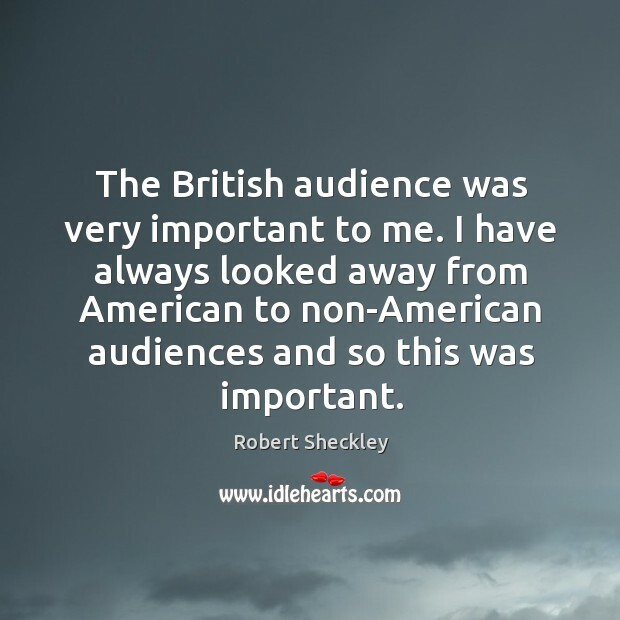 The British audience was very important to me. 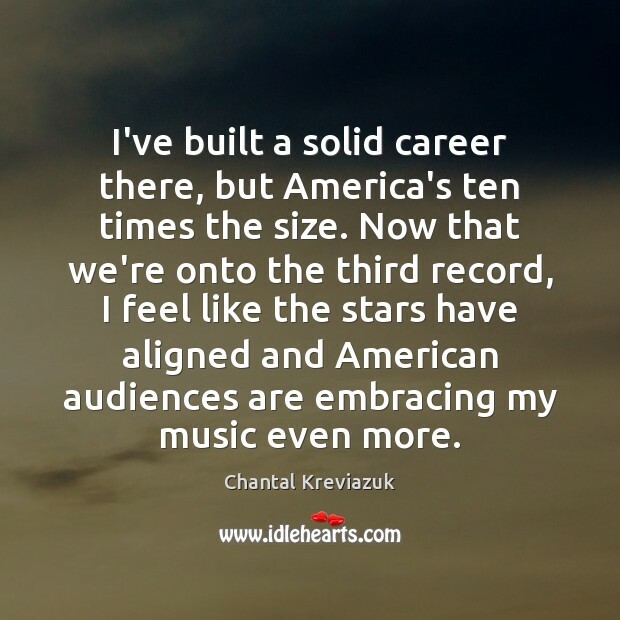 I have always looked away from American to non-American audiences and so this was important. 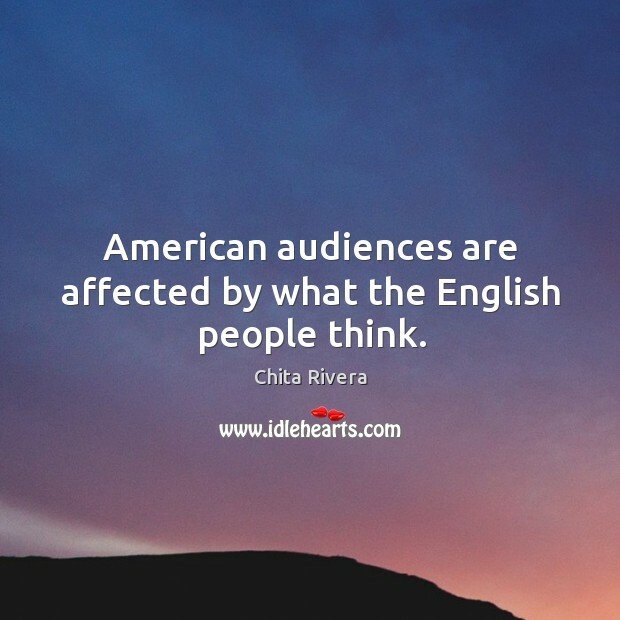 American audiences are affected by what the English people think. 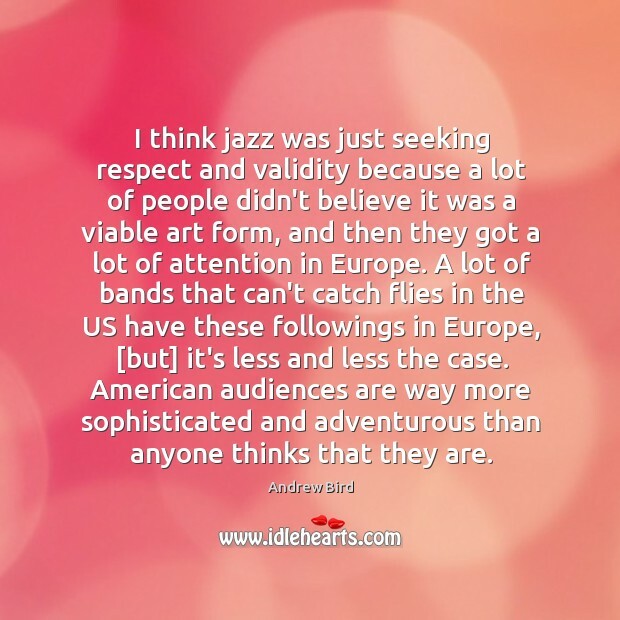 I think jazz was just seeking respect and validity because a lot of people didn't believe it was a viable art form, and then they got a lot of attention in Europe. A lot of bands that can't catch flies in the US have these followings in Europe, [but] it's less and less the case. 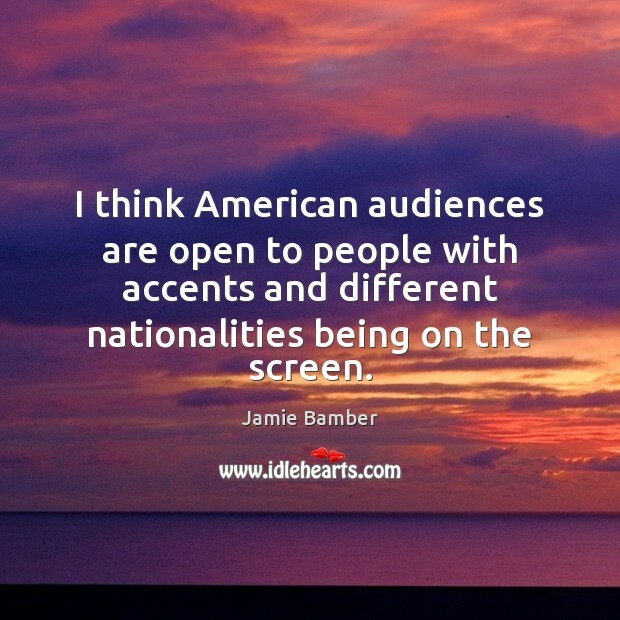 American audiences are way more sophisticated and adventurous than anyone thinks that they are. 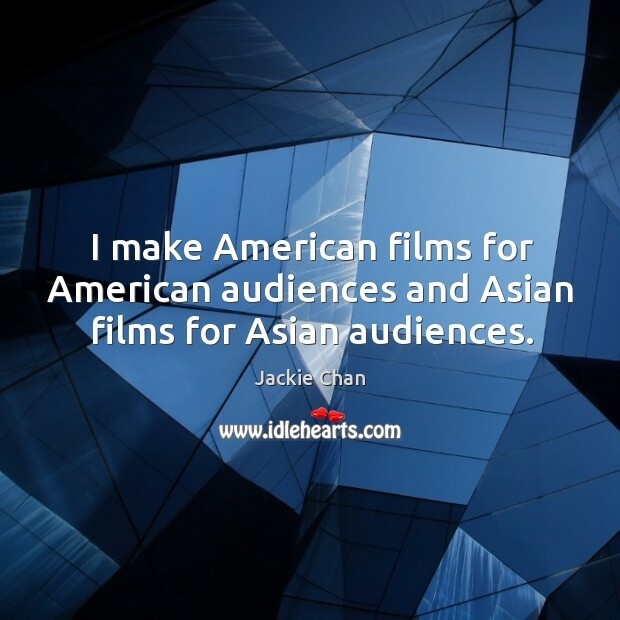 I make American films for American audiences and Asian films for Asian audiences. 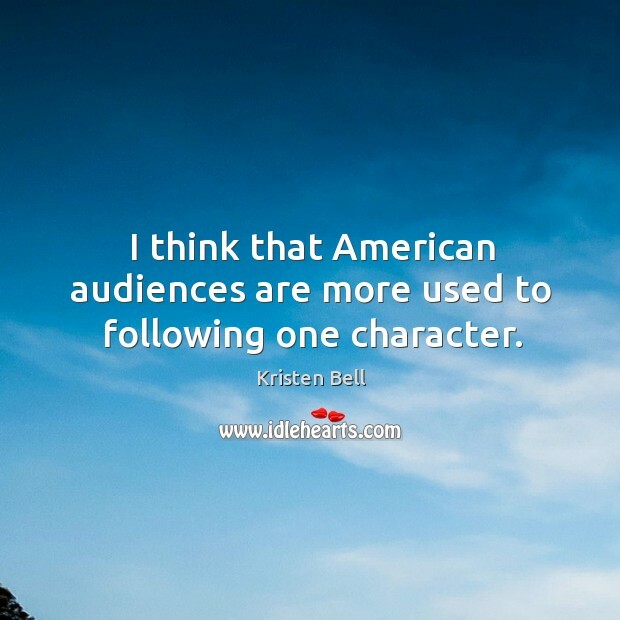 I think that American audiences are more used to following one character.